Languedoc was a dominion of the Counts of Toulouse — independent principalities in southwestern France — until the thirteenth century when it became a possession of the French Crown. There were two medieval French dialects spoken, oc, spoken in the south, and oïl, spoken in the north, derived from their respective words for "yes." The language of the south, Occitan, known as langue d'oc , was a Romance language that flowered from the eleventh to thirteenth centuries when troubadours composed lyric courtly love poems called canso and traveled to the seigneurial courts reciting their works. in Uzès in 1661, that twenty caterers could make a living there but a bookseller would starve to death, and that Languedoc had the best olive in the world. Many people think of Languedoc as mountainous, while others see it as a poor man's Côte d'Azur. A culinary confusion has arisen as well. Is the food ducks and beans or is it fish stews and salt cod? The geography of Languedoc is responsible for some of this confusion. The cuisine of Languedoc is divided into three areas and each feels a culinary influence from its neighboring region. The hills and mountains of Haut Languedoc are home to cities such as Toulouse, Carcassonne, Albi, and Cordes and feels its greatest influence from three sources, the Quercy, the Auvergne, and coastal Languedoc. The cuisine of the Haut Languedoc is characterized by the use of pork and bird fat, especially duck, and by local products. 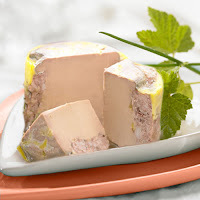 Besides cassoulet and poularde à la Toulouse, daube languedocienne is famous, as is pâté de fois grasmade with truffles, a speciality of Toulouse, Cazères, and Albi. The second area is the Bas Languedoc, the plains and sloping hills that run to the coast. 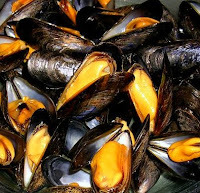 The Bas Languedoc, like neighboring Provence, is characterized by a more interesting cuisine and elaborate fish preparations that are found all along the coast. From the Bas Languedoc come preparations such as la brandade de Nîmes. The third area is the Côte Languedoc, almost a part of Provence on one end and Catalonia on the other. Here one finds les petits pâtés de Pézenas, pastry of lamb sweetmeat and the bourride de Sète, a fish stew made with saffron and a vegetable-enchanced garlic mayonnaise. Along the côte, bordering Spain, is Roussillon or French Catalonia, mostly influenced by Catalan cooking. This Catalonian influence goes all the way to the mouth of the Rhône, and one sees this today in the appearance of paella (admittedly not very good) as far east as Nîmes. The dishes of the Roussillon and Languedoc range from the Catalan snail, pork sausage, and lamb chop grilled repast known as cargolade to the Camarguais gardiane, a bull, red wine, and black olive stew. Other dishes are smoked tuna; fricassee of wild girolles (chanterelle mushrooms) with garlic and herbs; crème catalane, a lemon, vanilla, and fennel seed custard; moules de Bouzigues, the cultivated mussels of the lagoon; boules de picolat, seasoned meatballs with white beans; salade Catalane or Collioure, greens with anchovies, peppers and tomatoes; cigalle de mer, sea cricket, a tiny crayfish-like creature, served grilled; and l'ollada, a rich stew. The gastronomy of Languedoc grew as a result of the influence of Spain. A Spanish tide flowed over the Pyrenees to towns like Toulouse, Béziers, Narbonne, and Montpellier. The wave it rode upon was the great body of Arabic learning that emanated out of the intellectual center of Toledo. By the fourteenth century, we find traces of the new Arab astronomy, astrology, philosophy, medicine, and dietetics in the Languedoc with the University of Montpellier playing an important role in their dissemination. The Jews played a great role, too, in this intellectual movement, for the largest share of translators was Jewish, often translating these Arabic works from the Hebrew or the original Arabic.